The following is a reflection from Glenn Kelman, CEO of Redfin, on the years since the 2008 global financial crisis. It has been republished from the Redfin blog with permission. 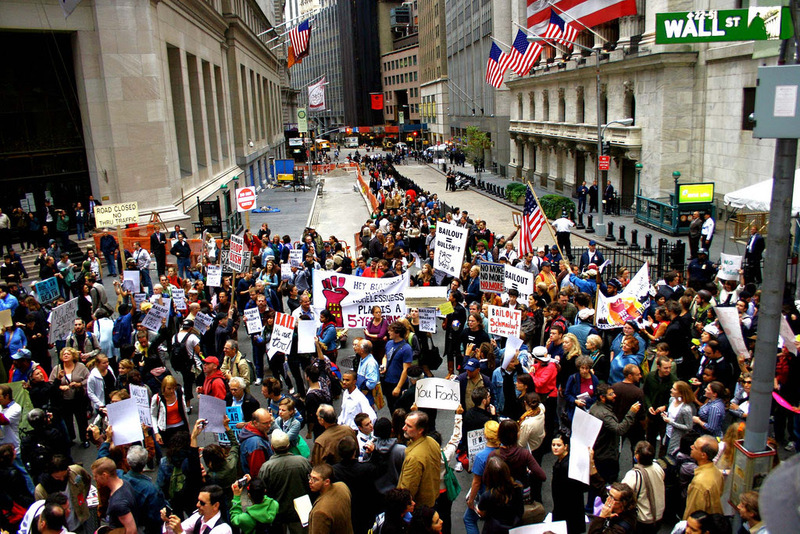 Ten years ago, on September 15, 2008, the great financial crisis began with Lehman Brothers’ bankruptcy. I remember a board meeting in which an investor said her husband was loading the car with bottled water, in case our civilization collapsed. I remember learning in a lunch line that we had just hired another real estate agent, when I’d already begun thinking about a lay-off. I remember the lay-off. And I remember that many of the houses that I saw on home tours got uglier, because their owners had left in a hurry or in anger, or just knew there was no point in fixing them up. History had arrived. As a technology-powered real estate start-up at the center of it all, we experienced the crisis in the way a toddler might experience a hurricane: intensely. Everyone knew the world would never be the same, but the changes weren’t what we anticipated. Even now, many of those changes are clear to Redfin only because at different times we’ve been their eyewitness, their beneficiary, their target, or their propagator. Here are the eight that stand out to us. The financial crisis contributed to a massive wealth gap, larger even than the income gap. The income gap is a well-understood phenomenon with many causes, but it’s the wealth gap that matters more: because wealth is accumulated through capital gains and not just income, and because it’s wealth, not income, that is transferred from one generation to another, creating long-term class divisions. And what no one has noticed about the wealth gap is how it was exacerbated by progressive reforms designed to limit the financial leverage available to the middle class. The government printed money for people to borrow at almost no cost, but passed laws that ensured only the wealthiest half of Americans could borrow it, all at a time when houses and stocks were at rock-bottom prices. 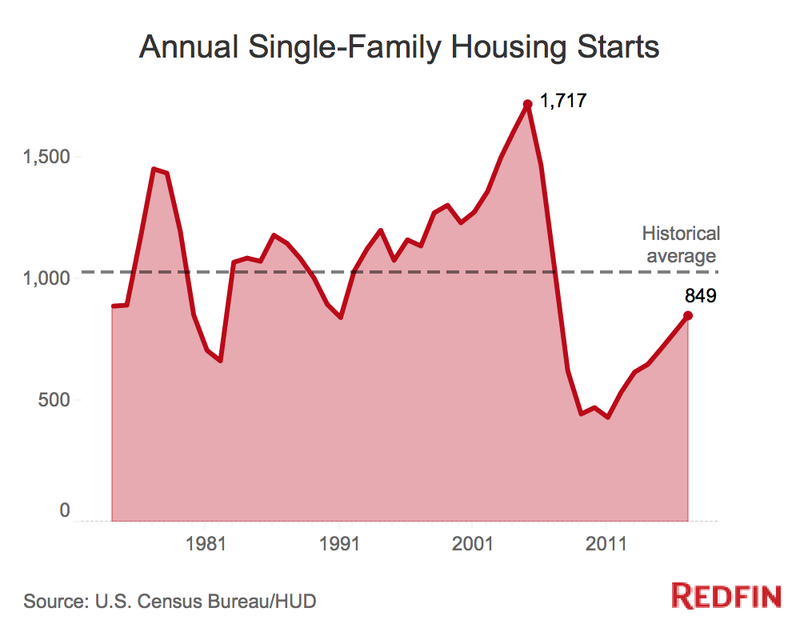 Rich people began buying homes from poor people just when those homes were most affordable. Without easy credit to mask stagnant wage growth, middle-class Americans began to feel poor. Mortgage interest rates dipped as low as 3.3%, a bonanza that seemed relatively short-lived at the time but that will in fact haunt the housing market for the next 30 years: homeowners have become loathe to give up the loan they got in 2012, and can easily find renters to pay the mortgage on their old place, sometimes by renting out the whole house if they want to move, otherwise just a garage that has been converted into a bedroom. Founded in 2008, Airbnb became the marketplace for this arbitrage between low mortgages and high rents. 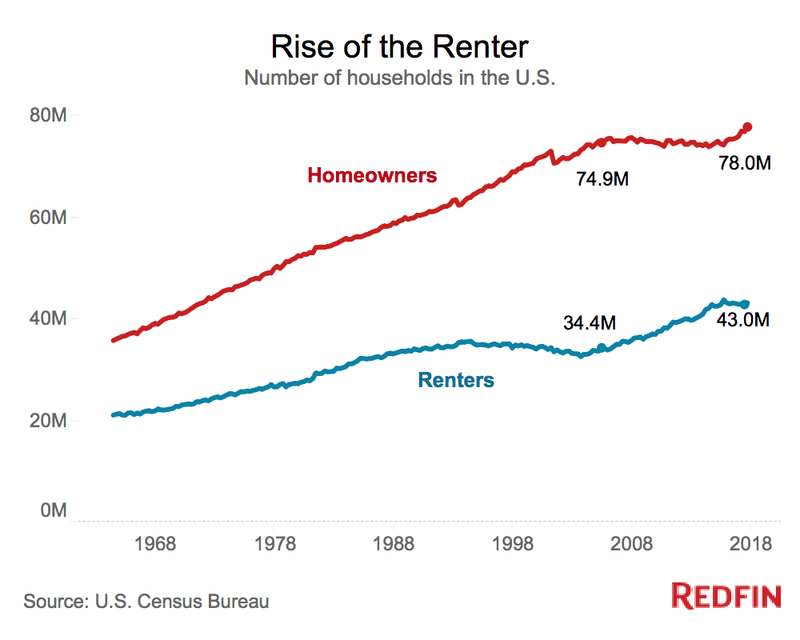 Between 2006 and 2018, the fraction of Americans renting their home increased by 13%. 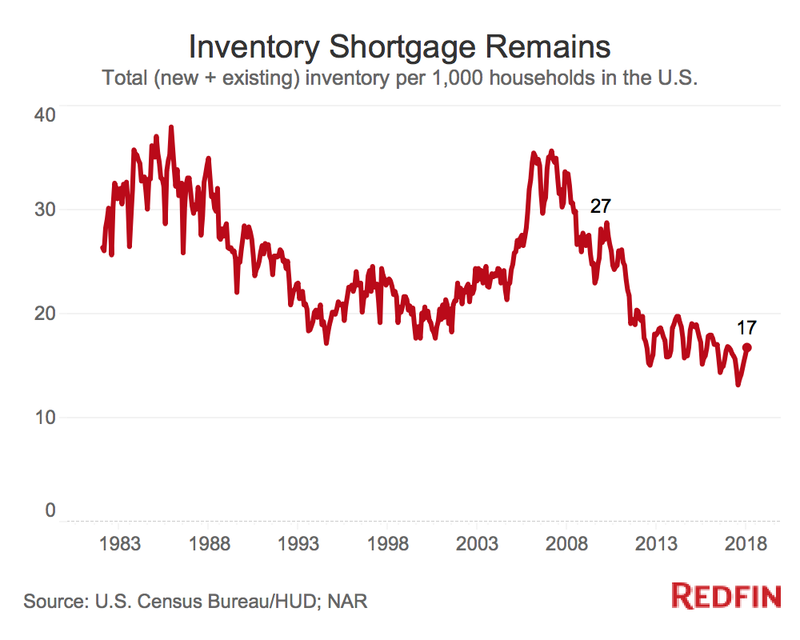 Because interest rates have dissuaded so many people from selling their homes, the laws of supply and demand no longer work in housing. From 2010 to 2017, even as home prices increased nearly 50%, the number of homes for sale per household declined 37%, and are still 38% below the historical average. That so few re-sale listings are reaching the market would normally make the opportunity for builders only larger but the construction industry never recovered: the number of single-family homes we started to build in 2017 still hadn’t reached half the level of twelve years earlier, in 2005. Before the crisis, George W. Bush appealed to voters in new developments at the edge of every American city with his vision of “the ownership society.” Today, there’s no longer a broad consensus that we owe each generation the roads, schools, houses and credit to make the American Dream possible. Builders are cautious about big, risky projects and wary of reforms that make homeowner lawsuits easier to win; many simply shrug when vilified by citizens and local governments that used to be their partners in housing the middle class. Cities like Detroit, Pittsburgh, Philadelphia, Baltimore, Providence and Milwaukee were left for dead, but when demand returned to a country that was no longer investing in more housing, these were the cities with the housing reserves to take people in. The folks who could no longer afford San Francisco, New York, Washington, Seattle and Chicago moved, in a trickle at first and then in a great wave. 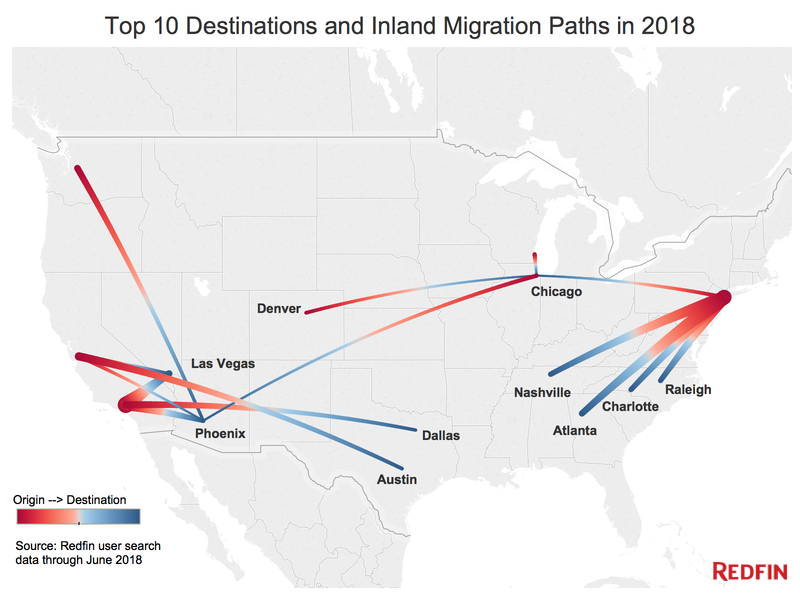 This has turned the fundamental narrative of 20th century American migration on its head, prompting Oklahoma City’s mayor at one point to say, “it’s like the Wrath of Grapes.” Migration patterns now shift from city to city in search of affordability, driving up prices in Seattle before moving to Denver, then to Portland, then to Nashville, then to Salt Lake City, with long-time residents starting to leave a city even while the number coming is still rising. This cycle will continue for years to come, straining the social fabric of one city after another, but also bringing prosperity to America’s once-forgotten places. The financial crisis sapped the resources of many real estate brokerages and their standing among consumers. At the same time, Middle-Eastern and Asian money flowed into private technology companies at almost unprecedented rates, creating the so-called unicorn bubble of billion-dollar private companies. Before the crisis, Redfin was virtually the only technology-powered real estate brokerage and no one wanted to fund us. Now, Wall Street has come to the firm conclusion that technology is going to change how people buy and sell homes. 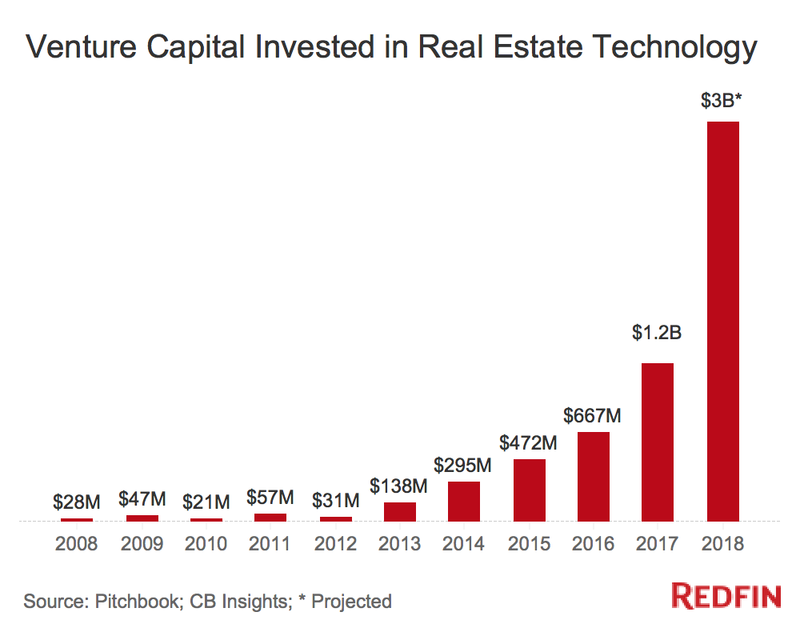 The private capital invested in real estate technology companies increased from $28 million in 2008 to a projected $3 billion in 2018, with almost all of it going to disruptive brokerages, not ad-driven listing-search sites. Over that same five-year period, a boom for real estate, the largest holding company of traditional real estate brokerages, Realogy, lost nearly 60% of its market value, despite five straight years of increasing revenues. The new capital hasn’t just funded the development of new technologies, but also the outright purchase of houses. Instead of just brokering a sale, companies like Redfin, Opendoor, Offerpad and Zillow are now buying homes directly from their owners, renovating the properties, and then trying to sell them at a profit. 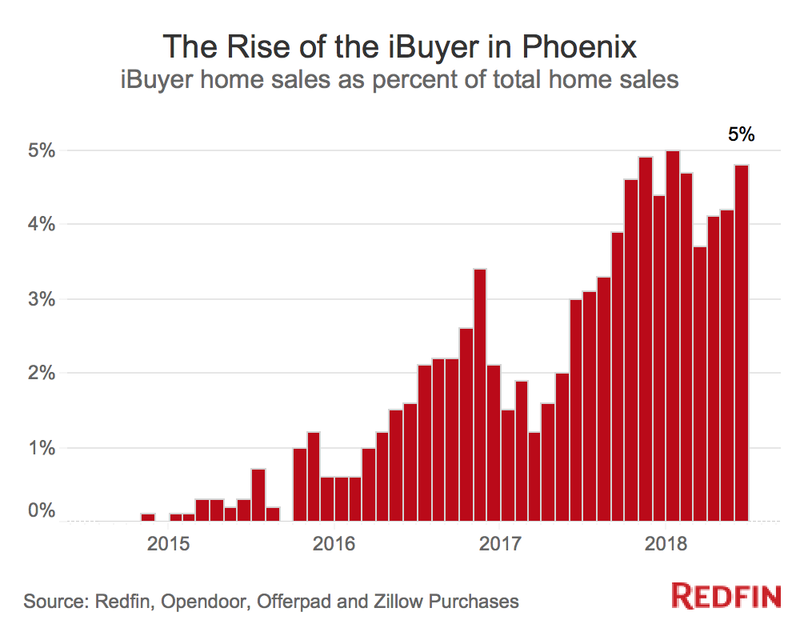 In markets like Phoenix, more than 5% of home sales are now to institutional buyers, and the number is growing fast. A decade ago, we were undone by a system-wide failure in deciding who could get a home loan; if there is going to be a system-wide failure in the housing market’s future, it could be in the algorithms institutional buyers now use to price homes. 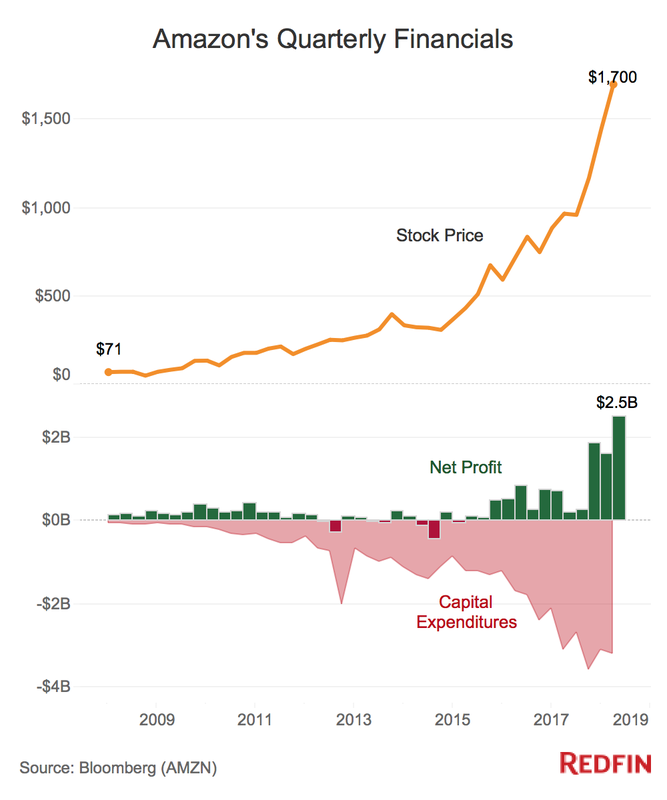 The free-money stimulus that followed the fiscal crisis has benefited the companies best able to raise capital, funding the growth of titans like Uber and Amazon over a decade. An Amazon investor would shrug at the company’s continued reinvestment of potential profits because she couldn’t get 3% interest on her money without taking unusual risks. These equity investments in companies that grew in size without having to generate significant profits or dividends funded the creation of near-monopolies in e-commerce, cloud computing, and transportation. It created a mindset where capital itself was the competitive weapon, not just the technology you could build with it. It has made the technology industry nearly an oligopoly. The fiscal crisis also engendered a deep feeling that the system was broken, spawning the Tea Party and Trumpism on the right, and Occupy Wall Street and Sandersism on the left. Millions lost their homes, but to rebuild the system, the government chose not to prosecute the bankers and traders behind a global economic collapse. The political and economic order survived 2008, but Americans on all sides spent the next ten years trying to tear it down. 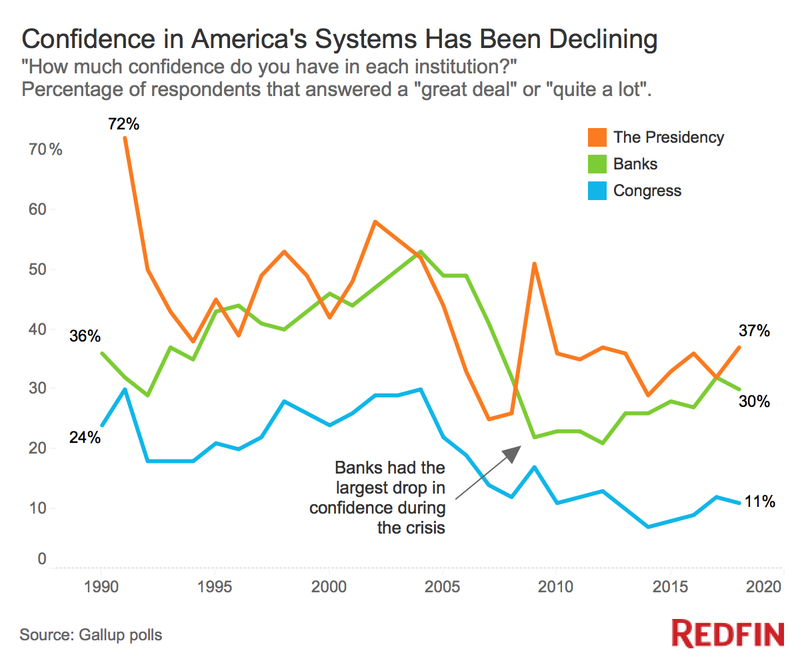 Faith in our institutions had already begun to wane before 2008, but the economic anger engendered by the crisis sharpened this trend. But perhaps what’s most remarkable is what didn’t happen. America created the global financial crisis, but emerged as the world’s strongest economy. 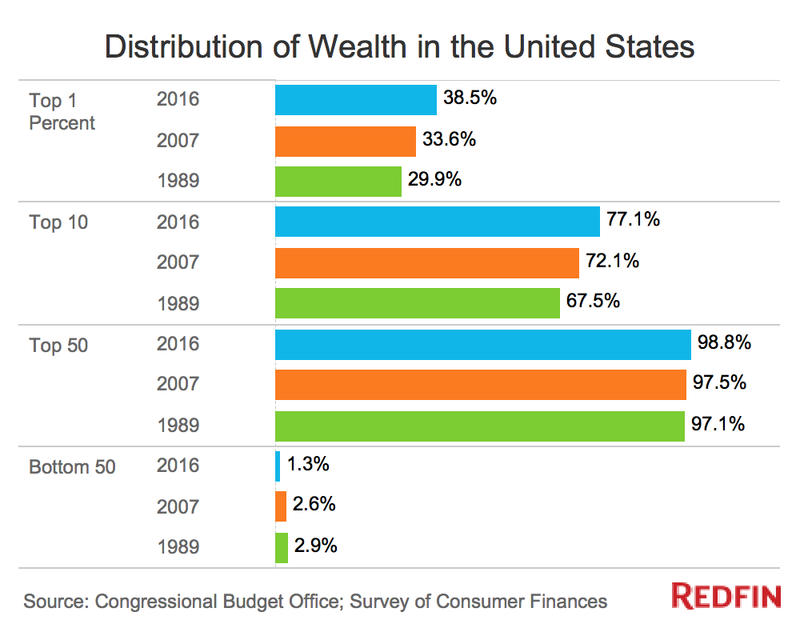 The country seemed poised for a major redistribution of wealth but then resumed the focus we’ve had for the last 30 years, on creating wealth, even if much of it remains concentrated in the hands of a few. The economy recovered better than we could have hoped, and still American society has fractured more than we could have imagined. Yes, agents need a mobile app. No, it's not as hard as you think.